At the core of our firm is the practice of Architecture; the Design, Drawing, Documentation and Delivery of beautiful buildings. It’s what drives us and it’s what we’ve been doing for over 35 years. We have been awarded by many industry bodies and much of our work comes via word of mouth from previous clients or via recommendation by local professionals. 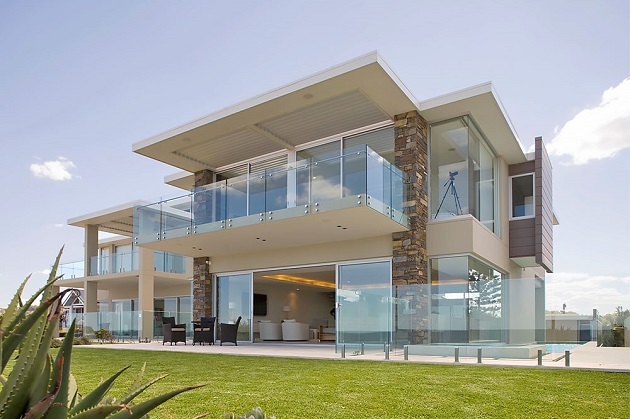 We provide a range of services for a range of project types with key strengths in the creation of bespoke homes and quality residential apartments with extensive knowledge in designing for the complexities of coastal & waterfront sites and other challenging areas. We place a strong emphasis on listening to your needs and designing a home that caters to your practical requirements, realises your aspirations and vision, and really embraces who you are and your lifestyle. 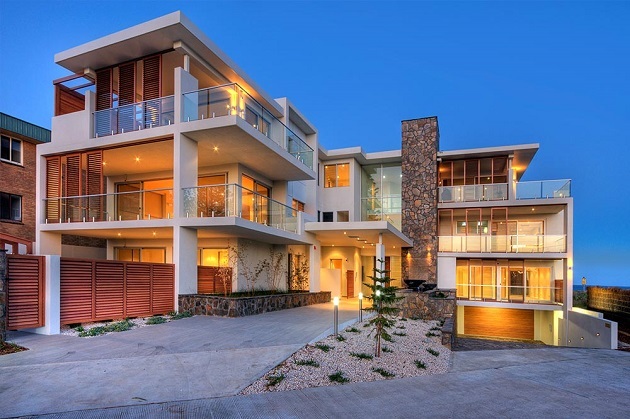 Our work has received awards from the Australian Institute of Architects (AIA), the Best of Houzz awards for 2014, 2015, and 2016, and has featured in numerous highly regarded architectural publications and magazines. We relish the opportunity of bringing new life to old buildings. Whether it’s a simple desire to make a room more inviting, turning small disjointed spaces into open plan light filled rooms or more extensive alterations and additions we can assist in getting the design right and in a cohesive way which integrates the old and new. We find the right balance between designing inspirational and creative ideas that grow naturally out of the original character of your home with fulfilling your practical requirements and meeting your budget. 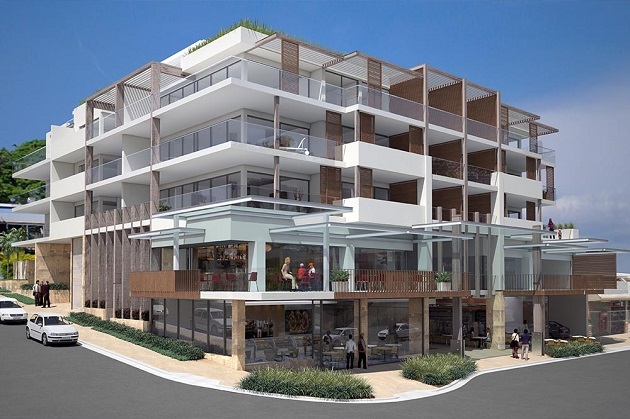 Slater Architects have been involved with apartment building design for over 30 years, in such time we have undertaken numerous multi-unit projects ranging from humble unit complexes, to high-end waterfront apartments, to larger scale multi-unit Apartment complexes. Slater Architects have been involved with multi-unit housing since the 1980’s when we were commissioned for a 400 dwelling housing development. Since such time we have undertaken numerous projects ranging from dual occupancies to large scale multi-unit developments. 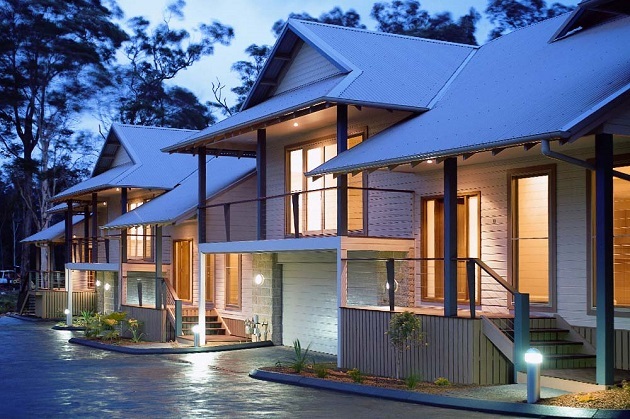 The Urban Development Institute of Australia (NSW) has recognised the outstanding quality of our housing community designs with awards for projects across the Central Coast and other regions. You can find our work throughout the Central Coast (Terrigal, Wamberal, Avoca, North Avoca, Saratoga, Gosford), Newcastle/ Lake Macquarie, Port Macquarie, Lennox Head, Ballina, Thredbo and the Hunter Valley. Take advantage of our wide ranging experience in designing all types of commercial projects ranging from restaurants and cafes, business parks, rugby clubs and medical centres. Our desire to always remain highly creative and innovative combined with our familiarity with all the required planning and council policies ensures a smooth design and build process and buildings that are not only pragmatic but also interesting and enjoyable spaces to inhabit. Architectural design is a fluid process drawing inspiration from and connecting with the client’s vision, site requirements, restrictions, and the environment. Our architectural design process begins with the belief that we are designing for people however this should never be removed from the environment it is occurring within. We take inspiration from nature and are highly committed to using environmentally friendly and low maintenance products in our designs. 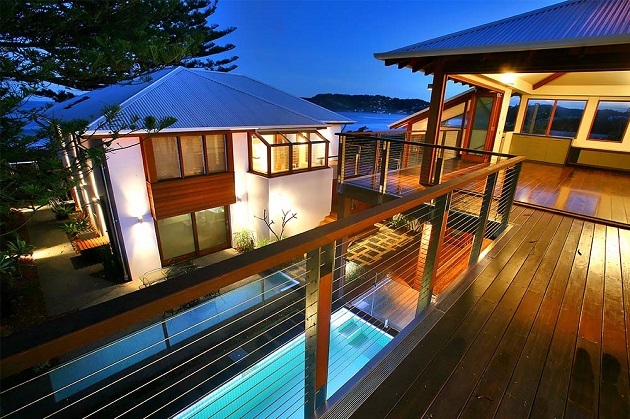 Slater Architects are an award winning architectural and interior design team with an outstanding reputation built on more than 35 years of creating exceptional building designs including homes, beach houses, townhouses and villas, beach houses, apartments, and commercial buildings throughout Sydney, the East Coast and Queensland.